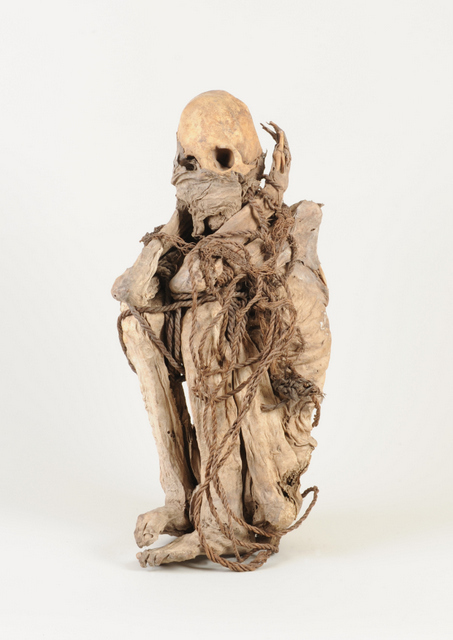 Photograph shows a Peruvian mummy from Towneley Hall. Items collected by a group of wealthy Lancashire industrialists in the 19th century will go on display in Preston in July. The Cotton to Gold: Extraordinary Collections of the North West exhibition will be at the Museum of Lancashire from Saturday 9th July until Friday 30th September. This is the final venue for this successful showcase, which has already been on display in London’s Two Temple Place to international acclaim. The objects featured in the exhibition are loaned from the collections at Towneley Hall in Burnley, and Blackburn Museum and Art Gallery. County Councillor Marcus Johnstone, Lancashire County Council’s cabinet member for environment, planning and cultural services, said: “19th century Lancashire was a place of hectic industrial activity. The textile industry flourished, and many of the entrepreneurs who owned the factories accumulated vast fortunes. A number of these magnates amassed collections of art and antiquities for their own pleasure, often donating of bequeathing them to local museums. The exhibition features Turner watercolours, engravings after Landseer and life drawings by Millais. Medieval manuscripts, book illustrations, Roman coins, Japanese prints, Byzantine icons, preserved beetles and a Peruvian mummy all form part of the display. The display has been created and funded by The Bulldog Trust, a charity whose aims include raising awareness of museum collections across the UK.